AFTER more than a decade, Singapore could finally have its fourth full-fledged telecommunications company. The newest kid on the block, two-year-old local broadband services provider MyRepublic, says it has fibre connections set up islandwide, and is prepared to begin providing mobile services. What it needs now is to buy airwaves and roll out base stations to send signals to mobile devices. Analysts say a fourth telco could enhance competition and give users more options. Already, MyRepublic is saying that it will offer unlimited data bundles - which are not available now. 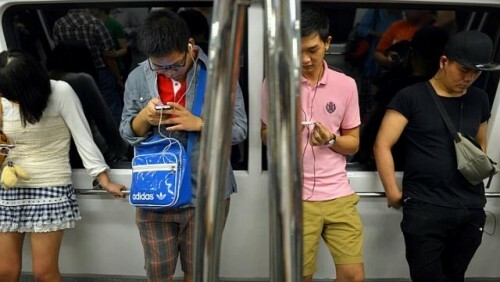 It could also break a long dry spell in the industry: No new company has even expressed interest in entering Singapore's mobile market for 13 years, because of the prohibitive costs of networks and airwaves. MyRepublic's chief executive, Mr Malcolm Rodrigues, told The Straits Times that the firm is in "early-stage" talks with financial institutions and mobile operators overseas for funding. It has budgeted up to $250 million for the initial 12 to 18 months to build a new mobile network. This excludes the cost of airwaves, which MyRepublic is now seeking from the Infocomm Development Authority, for nationwide coverage and capacity expansion. Its network will be based on 4G technologies, which are four times faster than 3G and can pack up to five times more data. There will also be support for seamless switching to Wi-Fi when there is a disruption or when surfing is slow. And it will use cheaper open source software to lower operational costs. To differentiate itself from dominant players - SingTel, StarHub and M1 - MyRepublic plans to revive unlimited mobile data bundles. Customers have long bemoaned the lack of competition, which they say leads to similar-looking contracts. In July 2012, for instance, SingTel stopped offering generous 12GB mobile data bundles for new sign-ups and contract renewals. Two months later, M1 and StarHub followed suit. "The market is in need of a shake-up," said Singapore telco analyst Clement Teo at United States-based market research firm Forrester. But there are challenges in offering competitive alternatives. MyRepublic's 1Gbps fibre broadband package - at $49.99 a month, the cheapest per MB plan to date - drew so many sign-ups that it led to months of delays in orders being delivered. Said Mr Teo: "It remains to be seen if it can maintain service quality and stay profitable."